Greg "Slam" Harris can play basketball, period. On the court, he's almost unstoppable. As he says, "I can hoop. Case closed." But off the court, it's a different story. Every day is a struggle to keep things together. Leaving his best friend Ice behind, Slam transfers to a top-notch academic school and is easily the best player on the basketball team. But his grades are slipping, and the coach doesn't appreciate Slam's attitude. On top of that, Slam suspects that Ice has started selling drugs, just as their opposing teams prepare for a showdown on the court. If Slam wants to hold everything together, he'll have to apply his passion for basketball to everything else in his life. 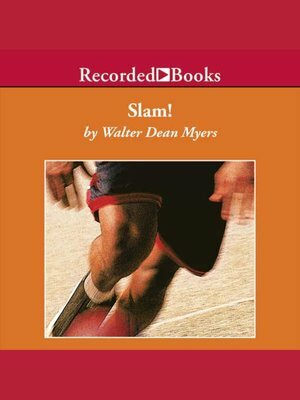 With an urban, teenage voice, Walter Dean Myers earnestly reflects the hopes and desires shared by many budding hoop dreamers. Narrator Thomas Penny vividly captures both the internal and external challenges Slam faces while chasing his dream from the streets, to the classrooms, to the hardwood floors.